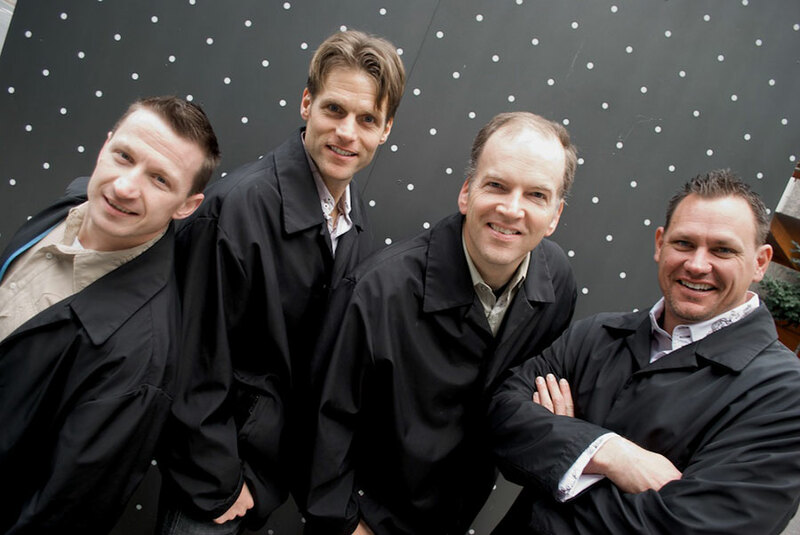 Nationally touring artists, The Coats are the Pacific Northwest’s premiere a cappella band. In a career spanning almost two decades, they have performed for MDA benefits, the Susan G. Komen Foundation, high schools, colleges, fairs, and community centers across the country, the President of the United States, and have shared the stage with dozens of acts as vastly different as Gallagher, The Beach Boys, Jay Leno, Trisha Yearwood, and Eddie Money. Their intensely arranged yet hilarious, interactive performance blends music and comedy so seamlessly that there is no event, stage, or function of any size that they won’t be left stunned and wondering, “how did all of that come out of only four guys? !” And your audience will be smiling and humming all the way home. The Coats look forward to helping you make your next event your best event ever.